The UCI BMX Supercross World Cup kicks off 2013 season in Manchester, UK and Connor Fields is ready to Chase after the 2013 title! The UCI BMX Supercross World Cup is about to kick off the 2013 season in Manchester, UK. This year marks the 10 year anniversary of the UCI BMX Supercross World Cup Series. BMX Supercross revitalized BMX racing with its exciting and spectacular races for Elite riders. The sport has come a long way in 10 years, with it’s first Olympic aperance in Beijing 2008 and the succesful 2012 Olympic Games in London. 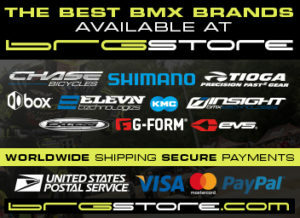 Chase BMX is proud to be a supporter of the UCI BMX Supercross series and are excited to be a part of the entire series. As another proof of the continuous growth and interest, the UCI BMX Supercross World Cup will make a first apperance in the Manchester Cycling Centre, the only permanent BMX Supercross indoor facility in the world. The £27 million purpose build venue does not only serve as a training facility for Team GB and the BMX squad, but has also revitalized the BMX interest in Manchester, UK by hosting development sessions of all different levels. The UCI BMX Supercross World Cup will be webcasted live on www.bmxlive.tv in addition to an extensive distribution of the acclaimed TV show Lane 1, showing what BMX Supercross is all about. The UCI BMX Supercross World Cup is proudly sponsored by Oakley, GoPro, Leatt, Red Bull, Tioga USA, Box Components, Promax, Chase Bicycles, ProGate, Vans & Troy Lee Designs.